Everyone knows the adage “Innocent until proven guilty.” But is it true? Those who face the criminal justice system alone often find that the State does not treat anyone as innocent; and why should they? The State has all the leverage. They have all the power. The experienced team at McGarity and Efstration, LLC, however, can help you level the playing field. 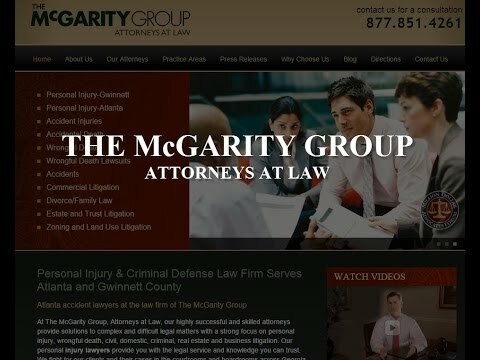 Our managing partner, J. Michael McGarity, not only began his career has an assistant district attorney, but he has spent over 35 years forging relationships with prosecutors, law enforcement, and probation officers across the Greater Atlanta area, and the entire state of Georgia. Our associates have handled any number of felonies and misdemeanors and have even served as staff attorney for courts presiding over a wide array of criminal cases. This unique blend of prosecutorial and judicial experience gives our attorneys insight and perspective into a justice system that can otherwise seem complex. Overwhelming. At times, frightening. There is no crime too small or too daunting. Everyone, no matter their stature, no matter the charge, shall find sound, sage, legal advice from McGarity and Efstration, LLC. From traffic offenses to violent crimes to white collar cases, McGarity believes you deserve more than a defense. You deserve representation that goes on the offensive. Because there is more at stake than guilt or innocence. People are counting on you. Friends. Family. Loved ones. You owe it to yourself. You owe it to them. If you have been charged with a crime in Georgia, do not hesitate — get help from an experienced attorney at McGarity and Efstration, LLC today. Call us at 877.851.4261 or contact us online to learn more about how we can help.